Rabbi Aaron Levy is a leader in the revival of downtown Jewish life in Toronto, where he the founding director and rabbi of Makom : Creative Downtown Judaism, named one of North America’s 50 most innovative Jewish nonprofits in Slingshot ’10-’11 . Aaron has created a space for Jewish community and a spiritual home for hundreds of Jews, especially unaffiliated young adults, in downtown Toronto. He also teaches percussion and is a sought-out educator on a wide variety of Jewish topics, especially ethical eating, environmentalism, spirituality, pluralism, and social justice. 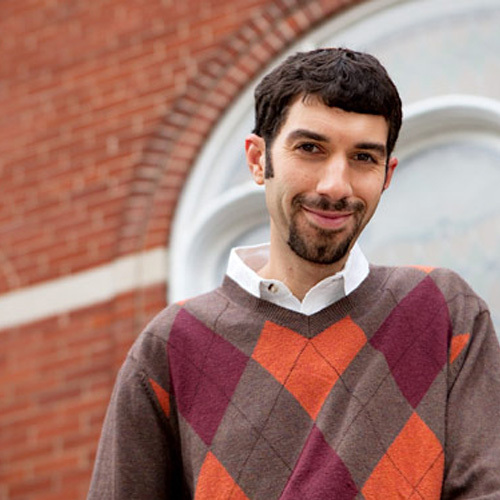 Aaron brings experience living and working in a variety of cities and Jewish communities; he previously founded an independent minyan, served as campus rabbi at three Hillels, and led wilderness backpacking trips. Aaron is an avid drummer, hiker, and vegan.